Delivering flowers to San Francisco? Matt had me try delivering our Bloomboxes in San Francisco on our Matilda's Magnolias bike this week. Just for fun we filled our basket to the brim with peonies, farmed in Oregon and handed them out all over the city. We think a peony a day is sure to send the work blues away! 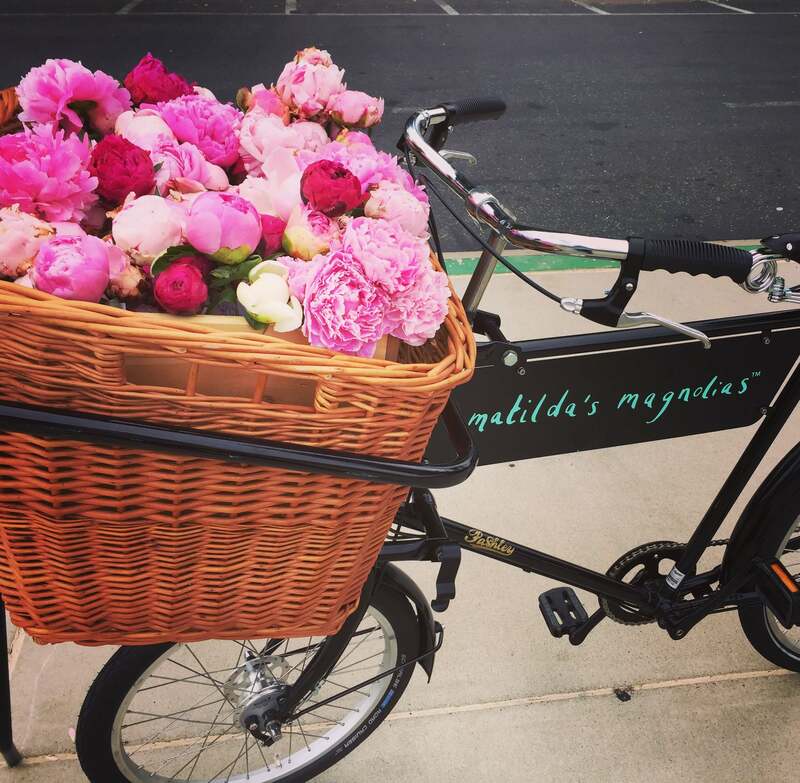 And... if you want a laugh then any flowers delivered in San Francisco this week will be delivered on our Matilda's Magnolias bike, that is commitment!!! Delivering flowers in SF on these steep hills sure is a challenge, so look out for us!